Partner by adding our badge. 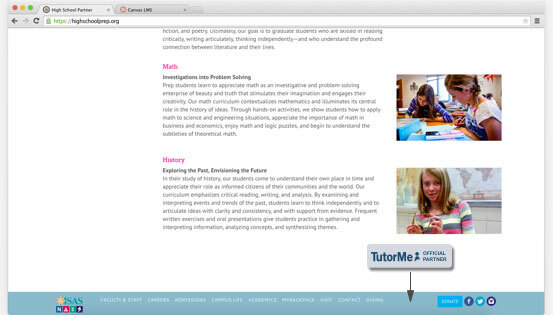 Adding our badge means your school receives our animated ACT course and online tutoring for free. All you have to do is add our badge to the footer of your school’s website. How many students do you have at your school? How many are taking the ACT this year? able to do this in less than 10 minutes.